Tuesday February 26 / "If there had been a little more wind, we could have progressed with the sails", explained Alain at the time of the evening's satellite slot, "as the terrain has become really good. There is still this frightful slipperiness... But, by and large, things are getting better and better. 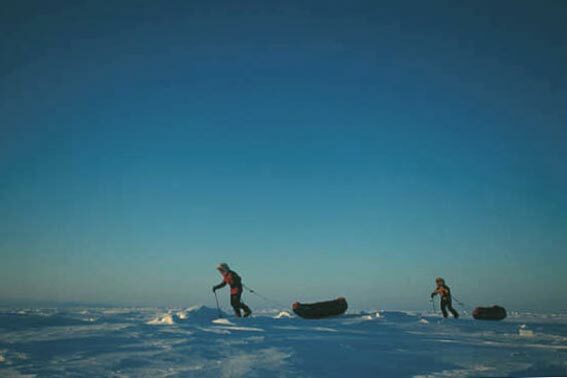 The fact that we were out on the ice on Sunday at around 4pm and that we hadn't had our rations that day perhaps handicapped us, a little... ".